This is a transcript of a workshop I conducted together with Liam Burke at the Allied Media Conference in June 2013. The workshop is meant to be a very basic introduction to system thinking via games targeted toward grassroots activists. It uses a simple fishery simulation available here as example. Games are notoriously hard to define and frame. During this cycle of workshops we are going to approach games from different angles. focused on that particular kind of storytelling that can be done by games and interactive texts. In this one I’d like to approach games as systems, or better yet: as an aesthetic or cultural form that pertains to systems. Now, we often use the terms “system” to refer to a number of very different things, natural, technological or social, the solar system, the operating system, the prison system. Without spending too much time, can anyone think of a simple definition of system? 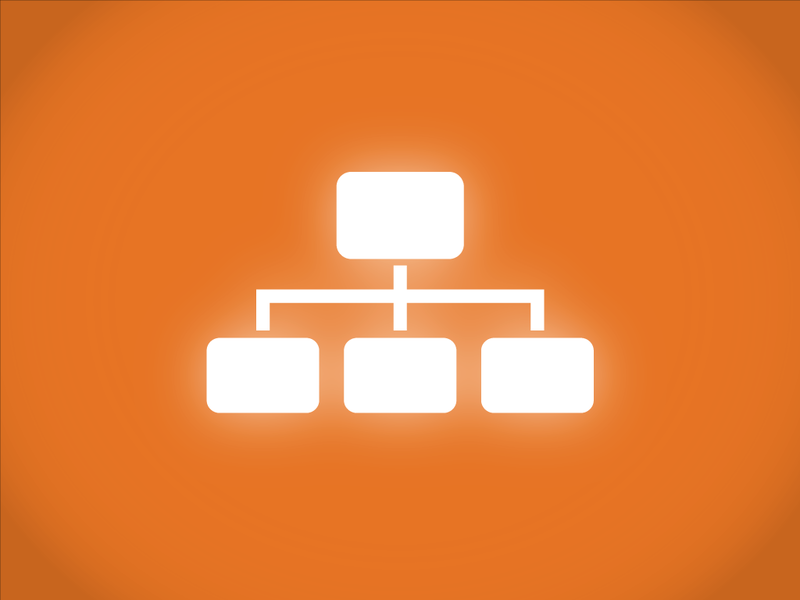 Generally speaking, a system is a set of interconnected things (or elements, or components) that form an unified whole. To use a now common catchphrase, this whole is more than the sum of its parts. 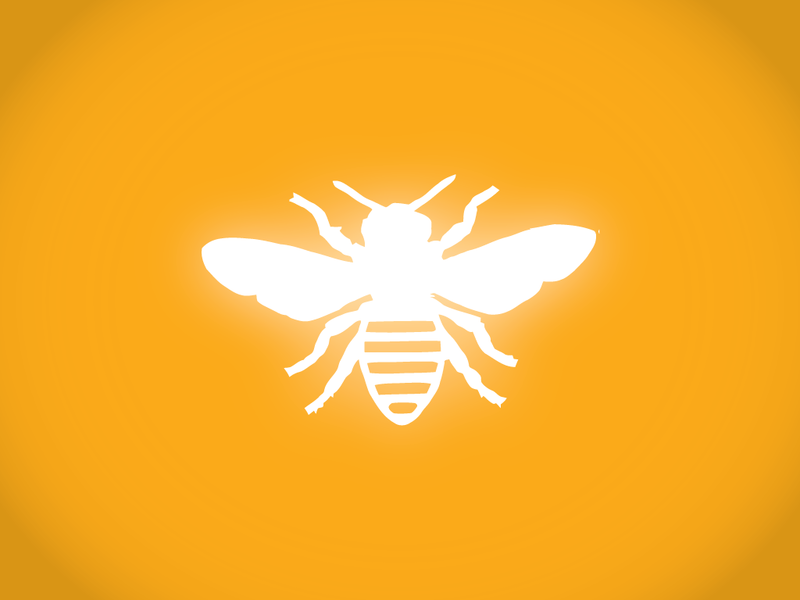 A single bee is a pretty simple helpless animal. But a colony of bees, communicating through pheromones and other signals, can generate a very complex and sophisticated behavior. The important implication is that in order to understand and design systems you can’t use a classic reductionist approach: breaking the whole down into small pieces and analyze them separately, because this would not take into account the relationship between these components. 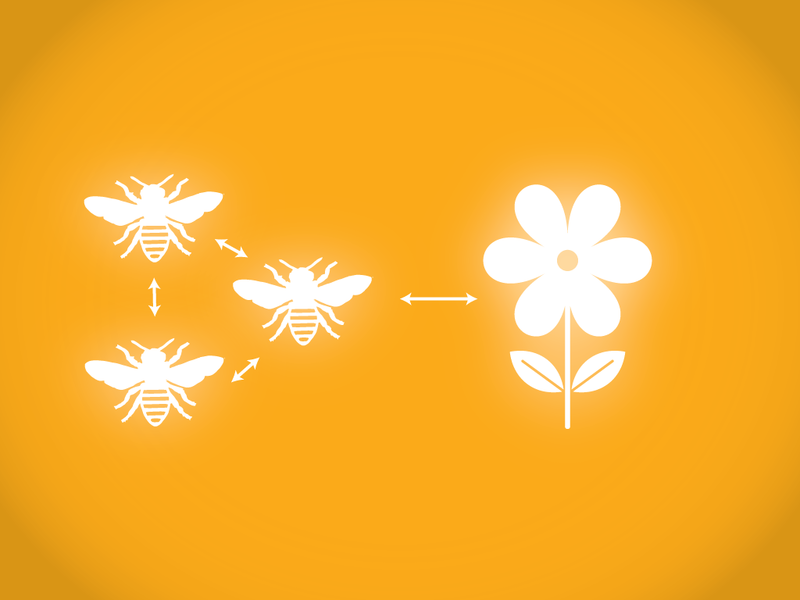 You can’t quite understand the biology of bees just by dissecting one specimen. You can only understand its internal system (how they store pollen, the sting etc.). Systems can be embedded in other systems. 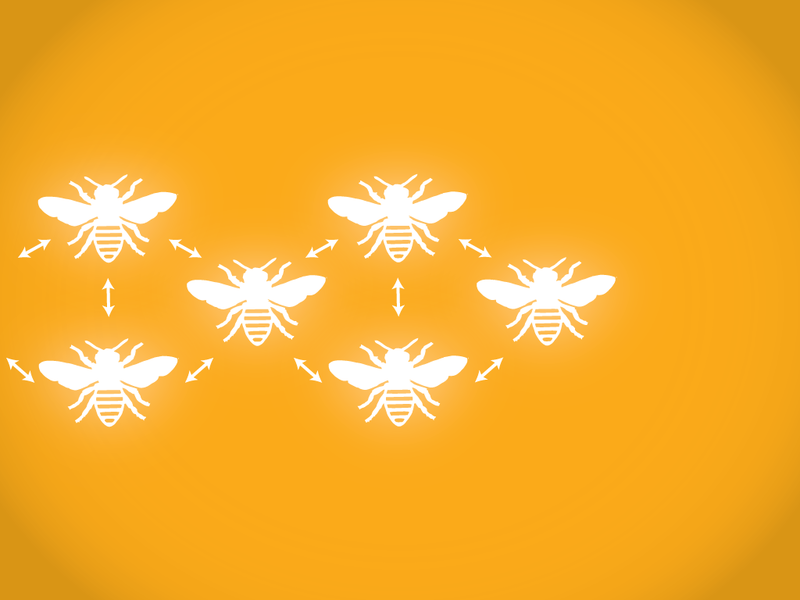 The single bee system is part of the colony system and as we know populations of bees are important part of larger ecosystems because they are pollinators. They are part of the reproductive organs of many plants. This doesn’t mean that every set of things is a system. The collection of animals in a zoo is not an ecosystem. There’s little or no interaction or interdependency between them. 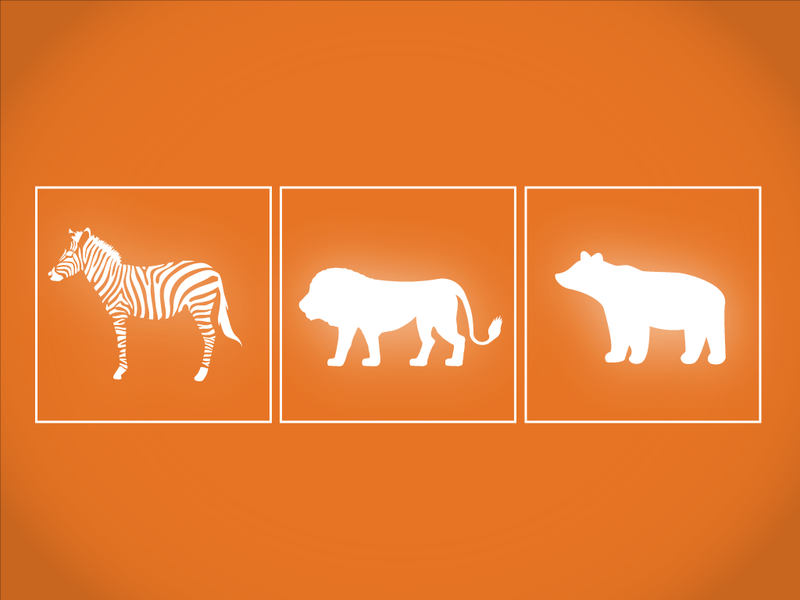 You can take away the zebra and you still have a zoo (only a crappier zoo). 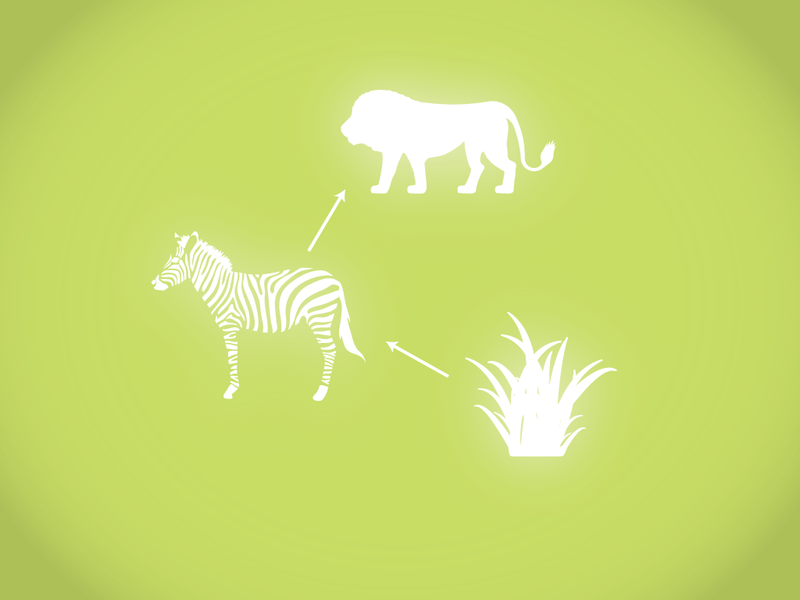 But if you remove all the zebras from the savannah you are going to dramatically affect the entire ecosystem. A system always has a function or purpose. 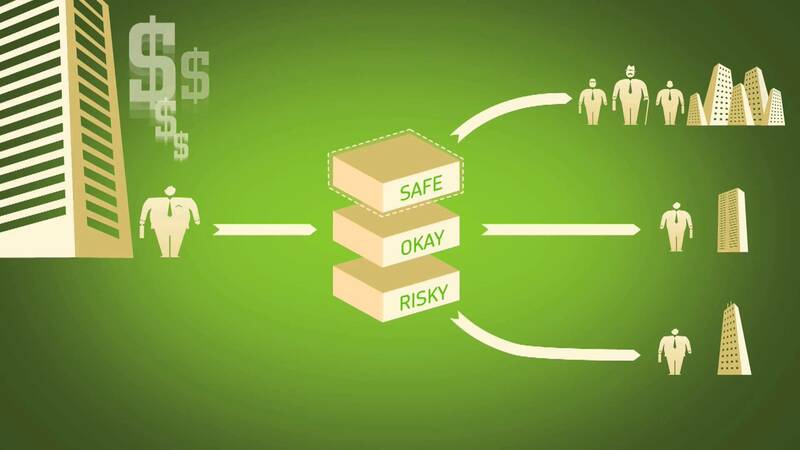 The purpose of a system is its consistent behavior, its consistent outcome. 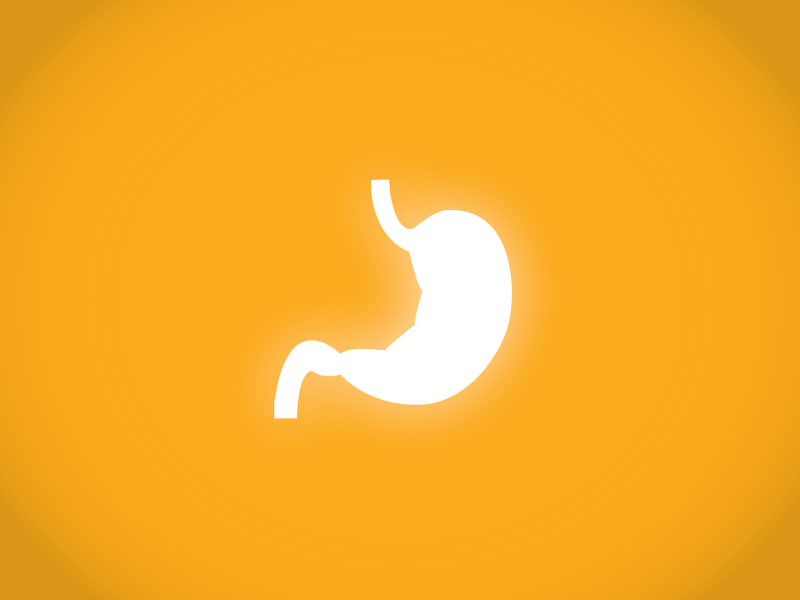 The function of the digestive system is to convert food into energy or energy reserves and dispose waste. To establish an exclusive certification criteria that prevents low income youth from accessing highly paid jobs. To burden students with massive debt that will substantially limit their freedom to pursue their vocation once graduated and turn them into docile and disempowered workers. We have plenty of data to demonstrate that this is the consistent behavior of the North American university, in the last two decades or so. Yet it would seem to imply malice, and intention. But the intention of people involved in the system is often misleading. Don’t look at the players, look at the rules of the game. Now, ecologist and progressive activists often employ a systemic approach to make sense of the world. The conservative person may see crime as an isolated relationship between people, as an immoral choice. And sees prison as a necessary deterrent, as a solution. On the other hand a progressive minded person is more likely to see crime within an encompassing system of inequality which, arguably, includes the prison system as well. 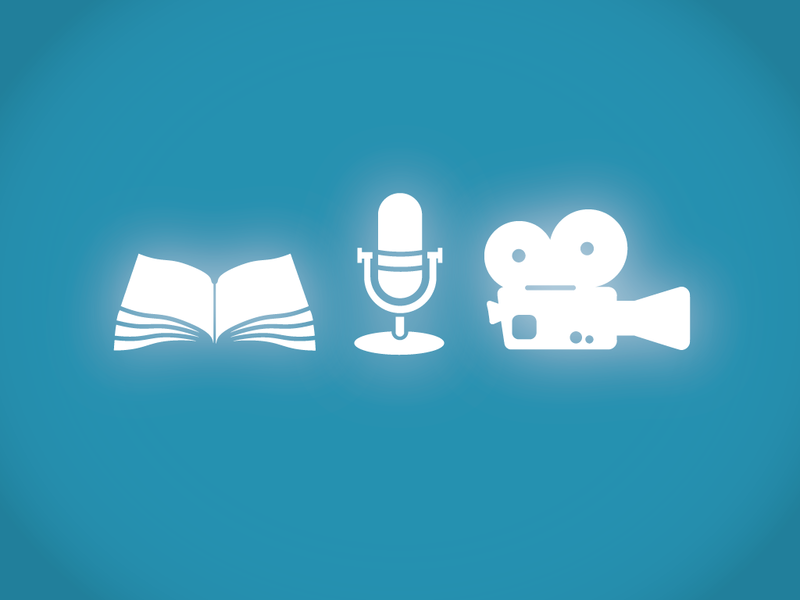 We are pretty good at telling stories through linear media. 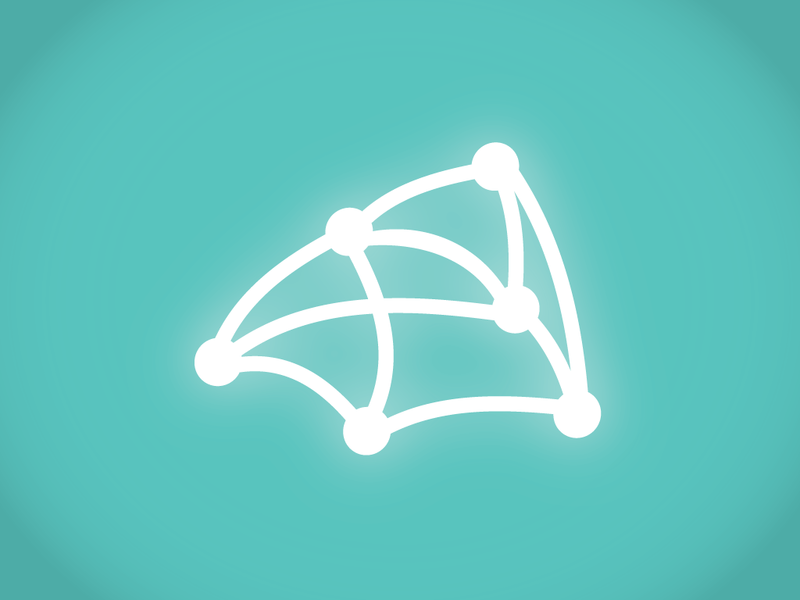 And increasingly so, using non linear, interactive forms like games. We can tell powerful emotional stories about poverty and exclusion, we can tell the the stories of the victims of the financial crisis for example. But understanding how the financial system works is way harder. And it’s even harder to fix, redesign and envision different systems. I believe this is where games and simulations can make a difference. Because games and simulations can simplify and mirror certain aspects of real world systems while maintaining their dynamic properties. By playing games and, even more so, by making games we can promote this kind of literacy. 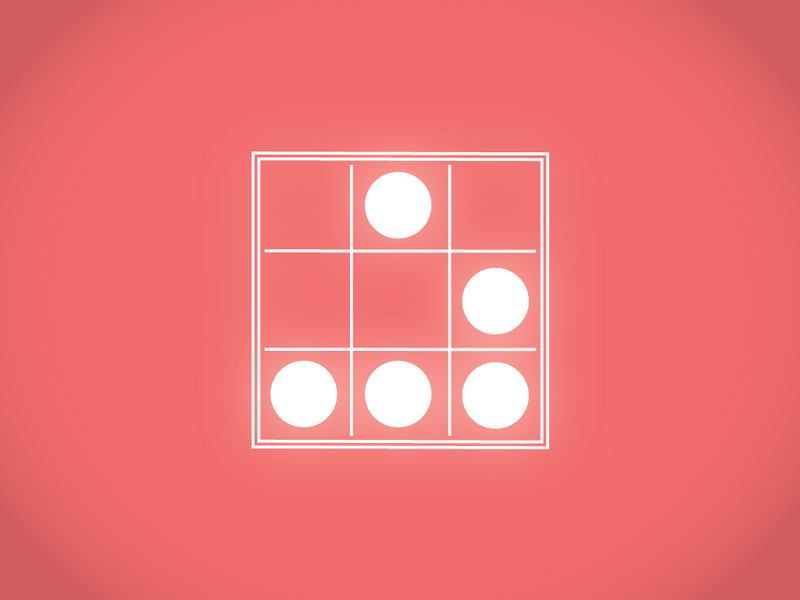 It’s for groups of 4 players and it takes about 15 minutes to play. We are going to analyze it and try to modify it afterwards. that are either too simple or too complex so I made my own. but rather it tries to distill some patterns on a qualitative level. 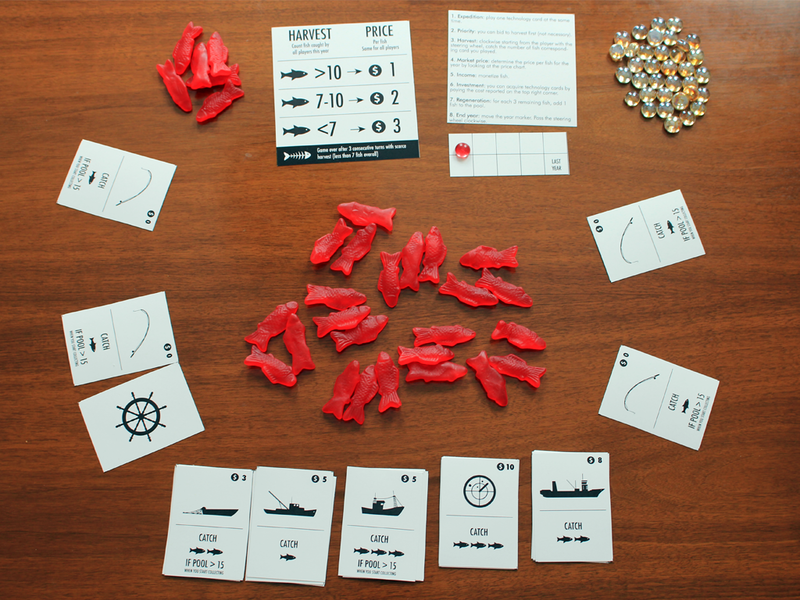 Fishing Game materials to be printed on 4 Letter sized card stock sheets (black and white). Groups play for 30 minutes. We know the rules and the components but certain dynamics and patterns emerge only when the system is in motion, when it’s running or it’s being played. Let’s try to unpack this game. What happened? The most crucial aspect of all systems are feedbacks. Now, in common usage feedback has become a synonym of comment or suggestion. More technically speaking a feedback is an output that is fed back to the input and conditions it. This is the basic concept in the field of cybernetics, which influenced not only computer science but also contemporary politics, biology, management and so on. This is a classic example: the toilet flush system which is similar to a heating system and many other instances in nature. Some arrows represent flows of resources (water). 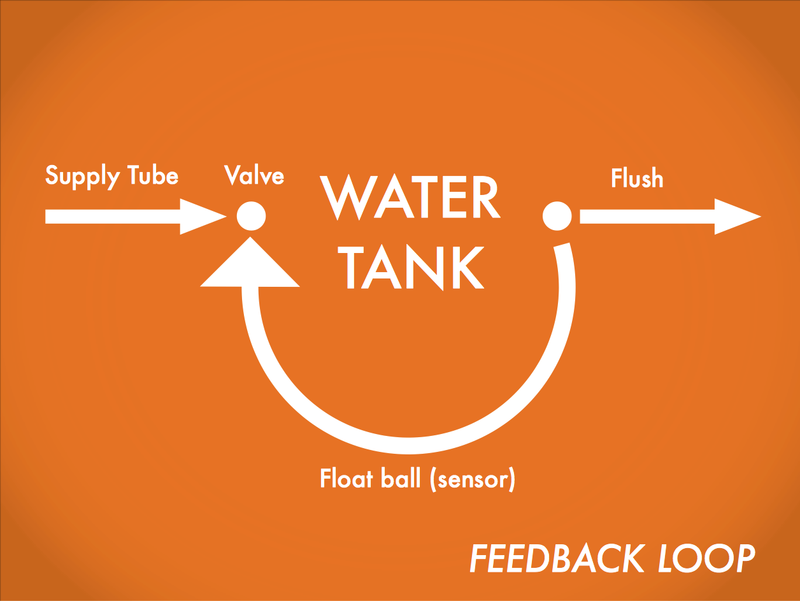 The feedback loop represent “information”, in this case the level of water detected by a mechanical sensor. In our fishing game we can spot some feedback loops. For example there is one similar to the water tank. It’s a balancing loop representing fish reproduction. A balancing loop attempts to move a current state to a desired state – in this case the limit of 30 fish. It is balancing the loss from fishing (and natural deaths which is implied in the game). 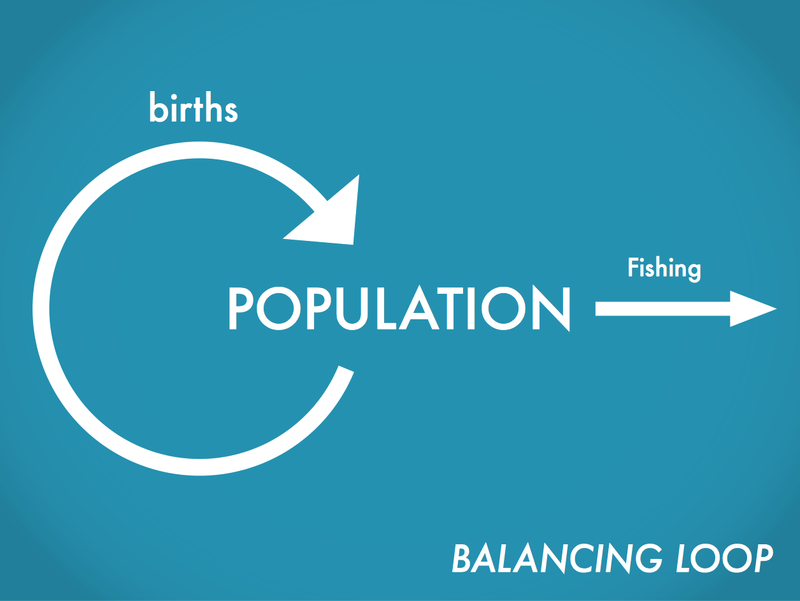 If you start with say 3 fish and you don’t fish you’ll notice an exponential growth, population grows increasingly faster and then reaches a limit. 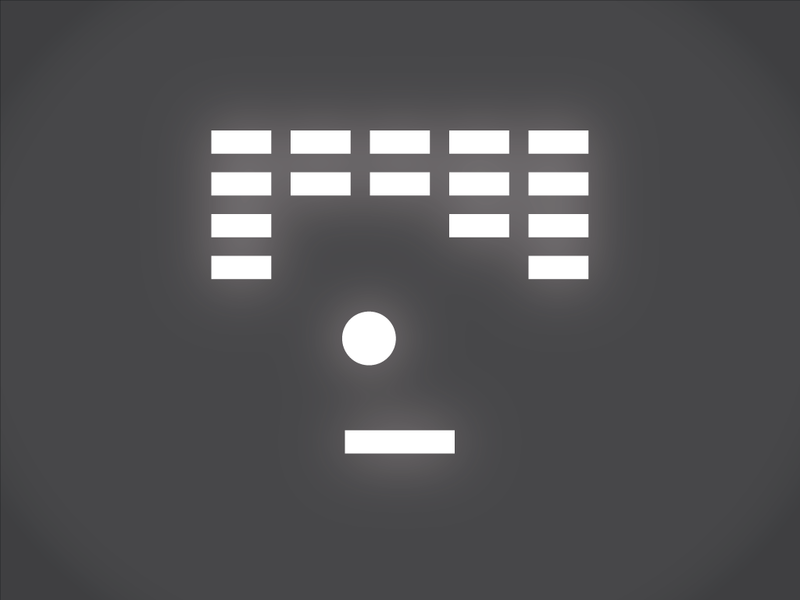 The game is likely to exhibit another kind of loop, a reinforcing one. 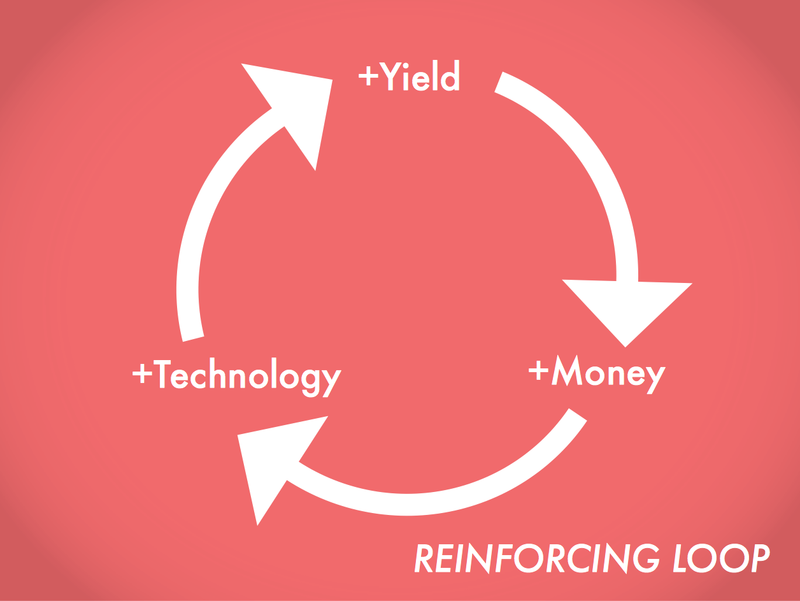 A reinforcing loop is one in which an action produces a result which influences more of the same action thus resulting in growth or decline. This dynamic is an example of what system analysts call system traps. Which are common systems, or archetypes that cause trouble. This happen when the winner of a competition are rewarded with the means to win again. This system archetype is built-in in many games (monopoly, chess, settlers, risk…) because we want games to reach an end with winners and losers. We are all familiar with escalation. 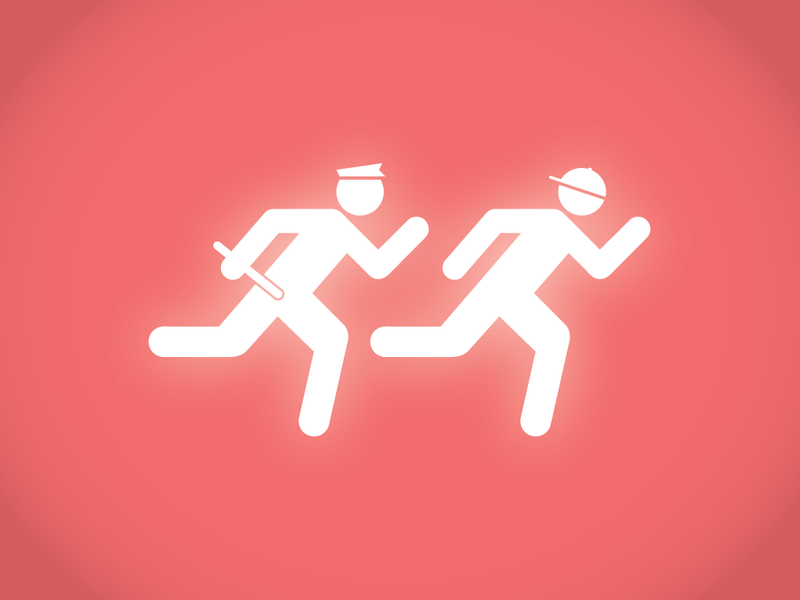 It’s the cold war arm race, it happens when you have an argument with your partner. 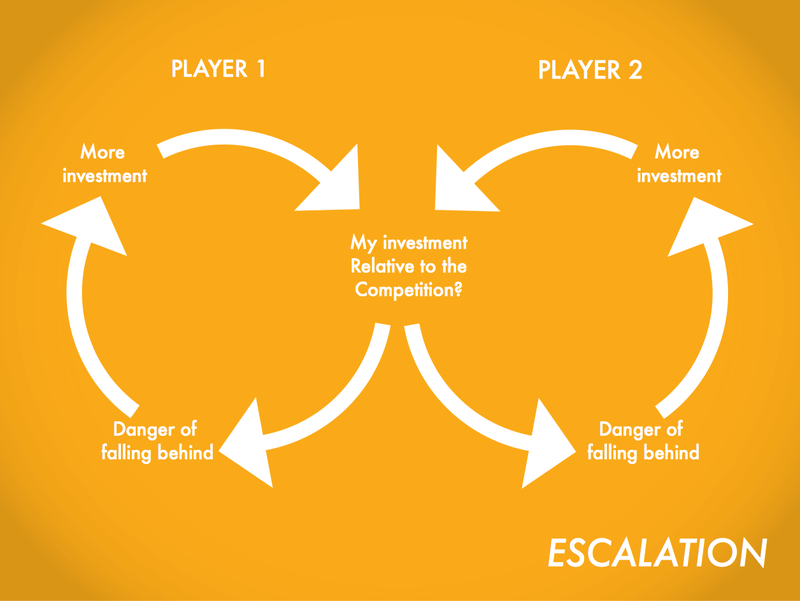 Here, if a player decides to escalate the technological investment, the other players are committed to match the effort or even to try to exceed it. What are the possible way out to escalation as a system trap? .Defeat of one player. The Soviet Union collapsed also as a result of keeping up with the Reagan administration’s military expenses. .De-escalation. Usually one part has to signal the intention to de-escalate unilaterally but by doing so it exposes itself even more, very risky. 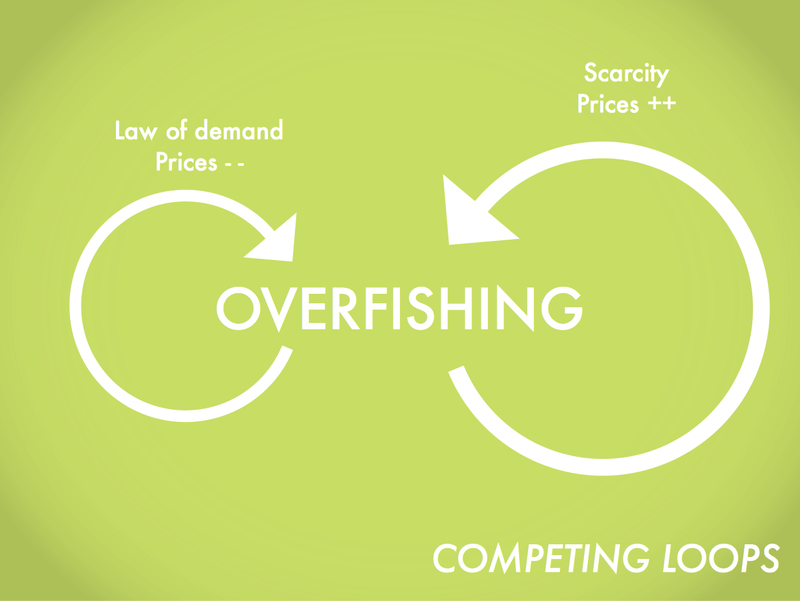 What about prices in relation to overfishing? 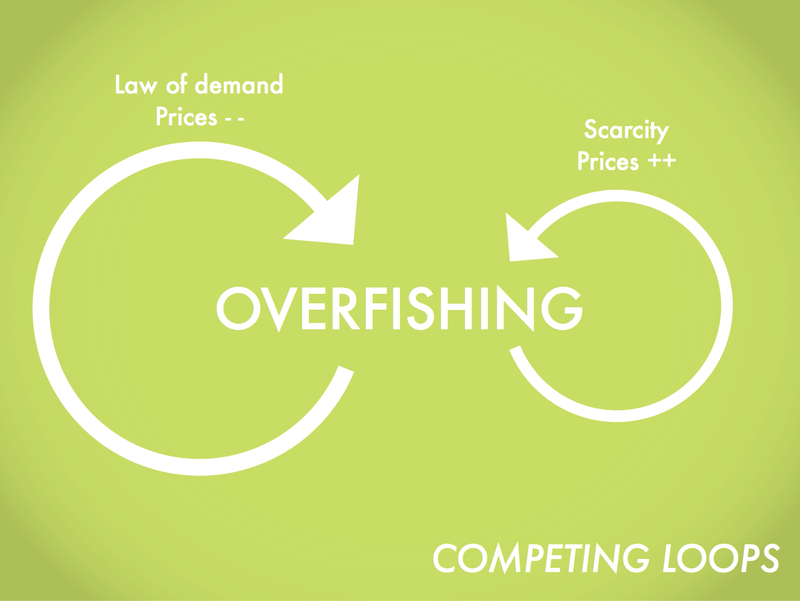 Normally in the game and in real markets, the law of demand function as a balancing loop: the more you fish, the more is the offer, the more the prices drop. So this is theoretically a deterrent to overfishing. However in time of scarcity, when you are running out of fish, the market can’t get flooded. So there’s a great temptation to extract the remaining resources for higher gain. This other reinforcing feedback loop becomes dominant, you are awarded for doing more of the same. This system trap is another well known one: the tragedy of commons. The tragedy of the commons is the depletion of a shared resource by individuals, acting independently and rationally according to each one’s self-interest, despite their understanding that depleting the common resource is contrary to the group’s long-term best interests. Classic solutions to the tragedy of commons can range from privatization (free market fundamentalists always make that argument see call for privatization of water by Nestle’s CEO) or more regulations and economic planning. Now let’s try to tweak the game to prevent these problematic trends to happen. Can these changes be translated in a “real world” situation? 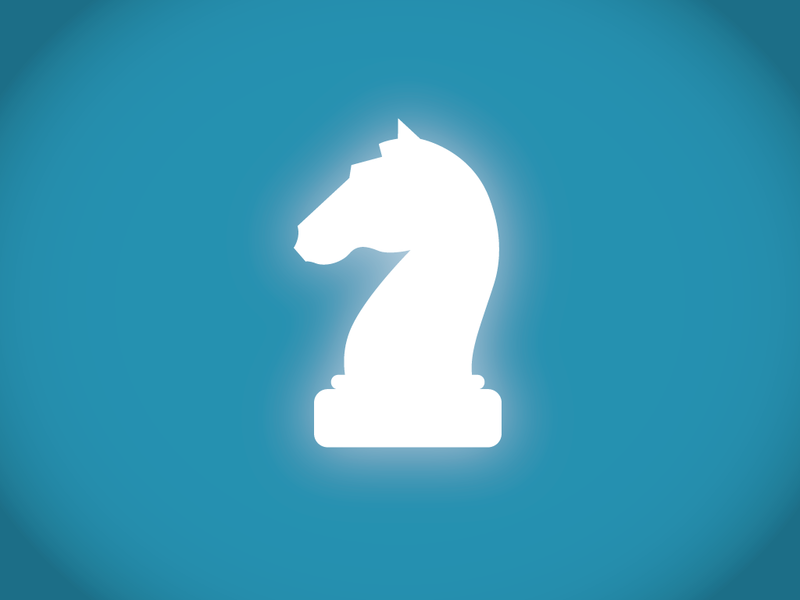 Can we modify the game without limiting the players’ agency and turning into a boring algorithm? Throughout the years system thinking has been co-opted by the field of corporate management and sometimes it’s hard to find resources that are not outright repulsive. The best and most inspired introduction to this topic is Thinking in Systems by the prominent ecologist Donella Meadows. This presentation borrows most of the terminology from this book.